Even though it’s unofficially summer, it’s still kinda cold and rainy this week. No matter, as soon picnic weather will be upon us, and what’s better for a picnic than a sandwich you don’t have to make? Not much guys, not much. 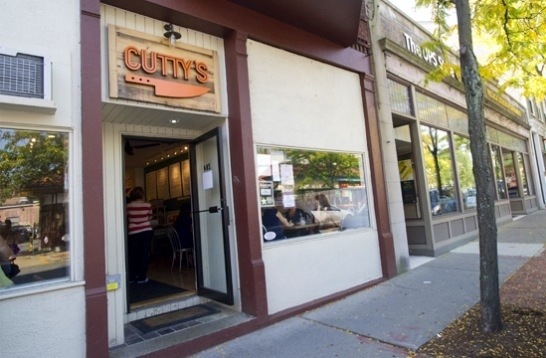 Cutty’s is an awesome sandwich shop in Brookline that has gotten rave reviews ranging from BU college kids to Food Network and Bon Appetit. I finally made my way over there after promising myself I would try something from their small but beautifully crafted sandwich menu at least once while living in Boston. I’ll for sure be back. Let me introduce you to The Spukie, or my new obsession between bread. 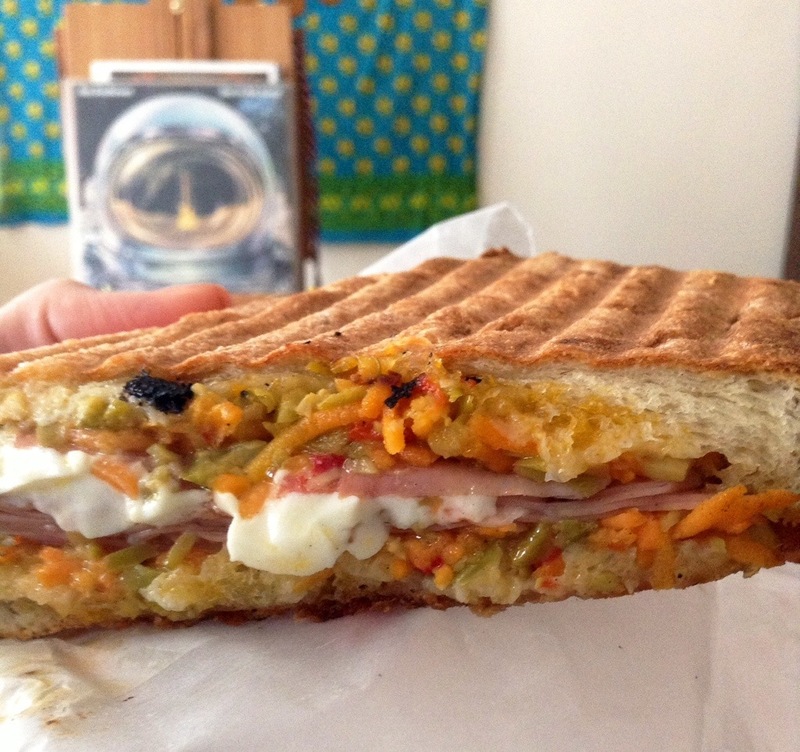 Salami, Capicola, Mortadella, Mozzarella, and a carrot-olive salad come together on pressed Ciabatta. Let me tell you, that carrot-olive salad takes the cake and makes that sandwich. The locally-sourced ingredients don’t hurt, either. Their deli sandwiches are also bomb, by the way. Want just a simple roast beef? Of course they can do it for you. Everything is super fresh, delicious, and simply made. 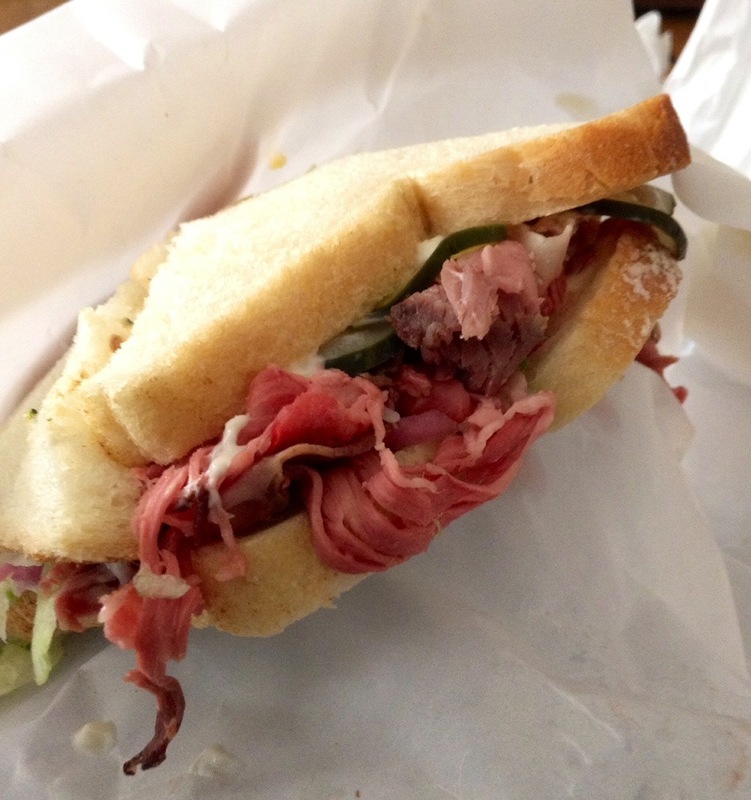 At around $5 to $8 a sandwich depending on size, it’s a great place to eat at a great price. All those rave reviews can’t be wrong, right?